Vehicle repairs and their faults come in many forms but are generally mechanical or electrical. Dont be tempted by price along ! 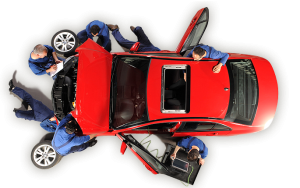 Whether you need a headgasket changing or brakes overhauling or some electrical malfunction resolving, we are able to complete these tasks professionally and to a very high level. With over 20 years of experience dealing with all types of vehicle repairs theres really not we havent seen and we really do believe that its our passion for what we do that makes us the right choice when employing a garage to get you back on the road. 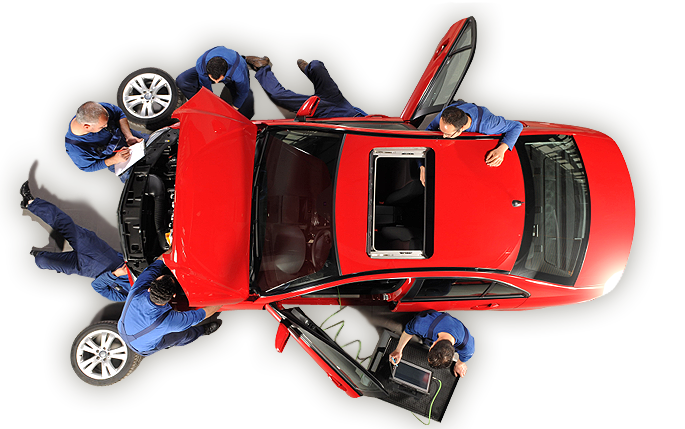 We have reverted to some old fasioned servicing formats as we felt that many so called services where nothing more than an oil change with the cheapest possible products. Our servicing format is very much like an MOT check without the test…a comprehensive inspection and only after this has been complted does our service or vehicle repair start. If we discover something that you should be aware of following this inspection we will contact you offer you a solution and then get you back on the road. So what do we do when we service your car ? In addition we are now offering our intensive injector cleaning or induction cleaning services as an additional option during your service or vehicle repair. Whatever repair or service, we are the performance centre for you. Many customers after having a replacement turbo fitted,Responsechip or a diagnostic completed now have their cars maintained by us….they contact us for just about anything that concerns their vehicle and even ask advice on vehicles that they are hoping to purchase. We aim to inspire confidence in us with our customers and to that end i think we have hit the mark.